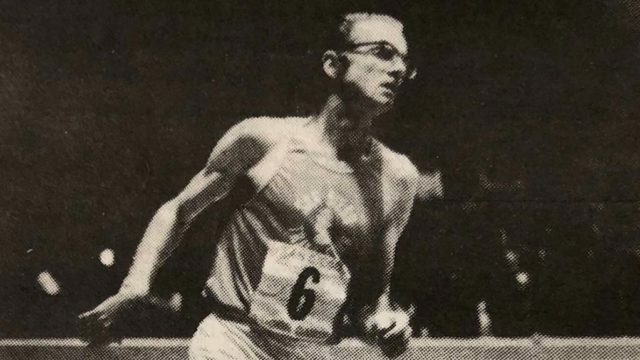 On Aug. 18, 1968, San Diego’s Bill Gookin joined about 100 other runners for the Olympic Trials marathon in Alamosa, Colorado — elevation 7,543 feet. Three dozen dropped out, some felled by a green sports drink designed for beefy football players — Gatorade. That experience led Gookin, a San Diego State-trained biochemist, to study athletes’ sweat and create his own specialty drink — Gookinaid. Gookin died Monday at a San Carlos hospice after several years battling Alzheimer’s disease, his family said. A Celebration of Life is set for 2 p.m. March 31 at The Thursday Club, 1224 Santa Barbara St., San Diego. “In the beginning of road racing. In the beginning of San Diego running. In the beginning of the San Diego Track Club. In the beginning of sports drinks … was Bill Gookin and Gookinaid,” wrote Tracy Sundlun, the former marathon executive. Sundlun said Gookin may never get the credit he deserves. 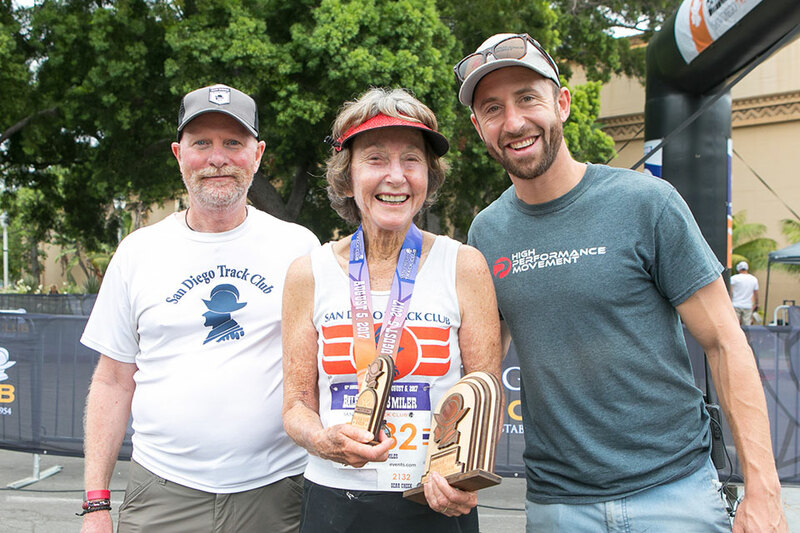 The founding member of the San Diego Track Club in the mid-1950s, early organizer of the Balboa Park 8 Miler and West Coast pioneer of the sport of orienteering was being mourned by many this week — including students from decades teaching science in San Diego city schools. 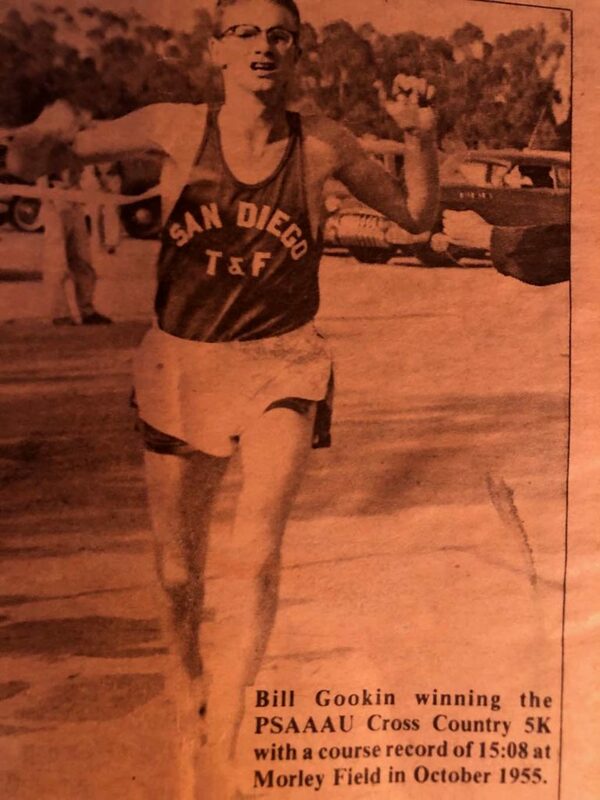 Paul Greer, SDTC coach since 1985, recalled Gookin’s efforts building the iconic Balboa Park cross country race held every August. 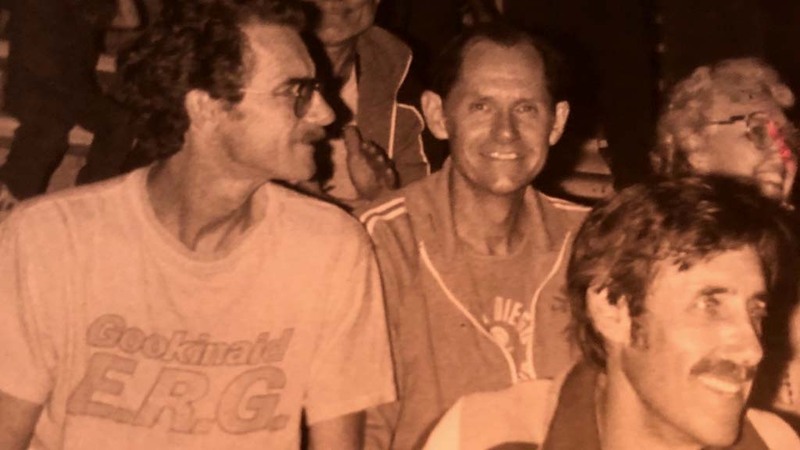 Carl Brandt, the former Movin Shoes owner, recalls how he helped prepare Mission Bay Marathon results in Gookin’s garage in January 1978 — only two months after moving here from Wisconsin. Gookin had already become a local legend, who had trained with 1964 Olympic champion Billy Mills. Gookin was an “extremely good fellow willing to help everyone,” he said. At the 1968 Alamosa race, at age 35, Gookin spent the 10 miles after his Gatorade gulp “bent over double” with stomach cramps, finishing 32nd in 2:57:11, he wrote. And in 1971 he won the Santa Barbara Marathon in a near personal best 2 hours, 29 minutes, 33 seconds — at age 39. By then, his first wife, Donna, had become a lifeline — hydrating Bill with Gookinaid in races and training runs. When he was working on Gookinaid, Donna said Friday, she would hand him drinks at intervals from a car. Eventually, she decided it would be easier to run instead of “jumping out of the car every mile and a half,” she said in a phone interview. She’d later become a pioneering distance-running champion in her own right. Gookin’s daughter Debra of San Diego said he went on 20-mile Sunday runs with some highly educated friends, including a doctor and physiologist. Debra recalled weighing the mixture and filling plastic baggies. Later, they used foil packets with a stick figure of a runner on the front (drawn by Gookin himself). “And then we’d iron them shut (along with sister Karin and brother Mark) with a regular iron,” she said. Originally meant for his friends, the ready-to-mix drink began to ship around the country to hundreds of stores, especially REI. The product’s name evolved to Gookinaid E.R.G. (for electrolyte replacement with glucose) and HYDRraLYTE before its current incarnation of Vitalyte (with the same recipe). Gookin sold his Mira Mesa business in April 1981 to Courtesy Coffee Co., a subsidiary of Merchandise Leasing Co. Inc. of St. Louis. Evan was Evan Lucas, now COO of Vitalyte Sports Nutrition. But as a 23-year-old window cleaner three decades ago, Lucas took a job with Gookin when he learned of a vacancy. Lucas recalls his first Gookinaid job as mixing the product in a 5-gallon “drum barrel” and filling little Cool Whip tubs. Eventually, Lucas streamlined production, putting the mix into jars with an induction seal. “Now we’re sold in resealable stand-up pouches and stick packs” (the biggest retailer being the REI chain), he said from his home in Escondido. Lucas said the owners of Gatorade are “pretty much marketing geniuses,” but thinks Gookin formulated a superior product. In fact, Gookin wrote on his site that medical relief teams in Rwanda and Bangladesh reported that a thousand refugees suffering from cholera and dysentery owed their lives to Gookinaid. William Eldon “Bill” Gookin was born Sept. 22, 1932, in Croydon, Iowa, and spent his childhood on his grandfather’s ranch in Montana, in Colorado and in Oceanside, said an obituary prepared by Debra Gookin. “By the time he attended Carlsbad High School, Bill was a top track runner and he continued to excel … at San Diego State [College] where he was one of the fastest two-milers in the nation,” she wrote. 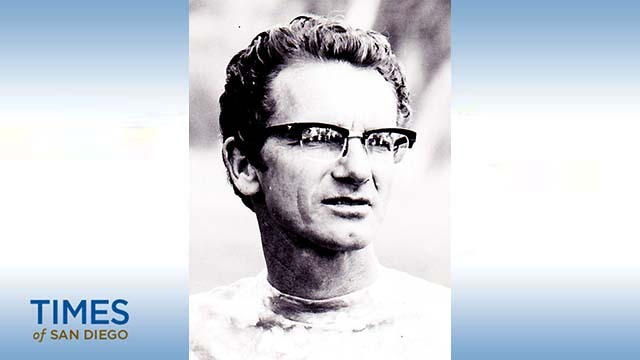 After college Gookin joined some teammates to form the San Diego Track and Field Association, later named the San Diego Track Club. 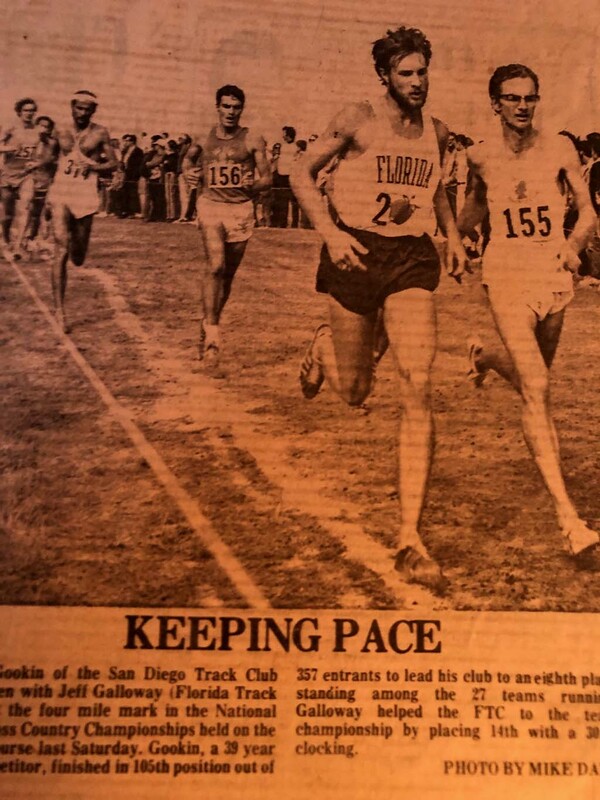 He served as club president many times and established the first long-distance running events in San Diego, including the Balboa Park 8 Miler and the Mission Bay Marathon. He helped organize the 1972 San Diego Indoor Games, featuring Olympians from around the world, including the Soviet Union. “Bill directed some of the first running events that allowed women entrants,” she said. In the early 1970s, Camp Pendleton Marines introduced Gookin to the Scandinavian sport of orienteering — where competitors use a map and compass to race around mountainous terrain. He formed the San Diego Orienteering Club and began drawing maps, putting on local meets and competing internationally. Bill majored in chemistry at SDSU, met his future wife, Donna, and while serving in the Army taught at the Chemical Corps school at Alabama’s Fort McClellan. Back in San Diego, his first job was developing kelp-based foods at Kelco. But he soon returned to teaching. His daughter says he earned a master’s degree from the University of Colorado on a National Science Foundation scholarship. “His hands-on approach to teaching and numerous field trips inspired students for over 50 years at many schools including Montgomery Junior High School, La Jolla High School, Crawford High School and Clairemont High School,” she wrote. Debra recalls her father pointing out stars in the sky and naming the constellations. The same enthusiasm engaged his natural science students. “I’d meet people all the time that remember vividly things they were exposed to through him, because he made it so personal,” daughter Debra said. Gookin spent most of his teaching years at Montgomery Junior High (now Middle STEAM Magnet School) in Linda Vista. But he also taught summer school oceanography in conjunction with Scripps Institution of Oceanography. He was an “over-the-top” kind of father as well, said Debra, 61. Debra Gookin went on to study at her parents’ alma mater, SDSU. She retired a few years ago as a physicist for the Navy, working at SPAWAR Systems in Point Loma. Donna Gookin says Bill, the son of a carpenter, made beautiful woodwork, including bookcases and a sofa still in her Del Cerro home. “And when he was in the Army, he used the equipment to make things for his mother,” she said. After his 1983 divorce from Donna, Gookin had a brief marriage that produced his youngest daughter, Jo Christine Childs. 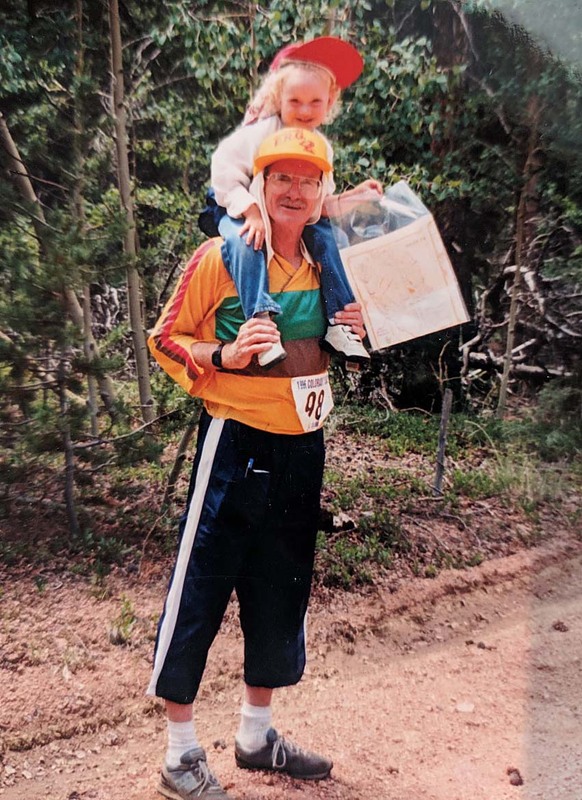 Childs, 26, recalls tagging along to set up aid stations for the La Jolla Half Marathon and traveling all over the United States for his orienteering races. “I was Vitalyte’s unofficial youngest employee because as long as I can remember I would spend days in the Vitalyte booth at races and parrot the sales pitch to anyone who would listen,” she said Saturday. Although Gookin was known most for his fluid-replacement drink and impact on the running community, Childs says if you asked him he would have said that above all else he was a teacher. “He loved showing people new things, even if it was just pointing out an interesting rock formation and telling you all about the lava flow that formed it and the type of rock,” she said. He taught until very late in life, including chemistry for a midwifery class at San Diego Mesa College as recently as 2012. In 2017, 2 1/2 years after being diagnosed with Alzheimer’s, Gookin walked Childs down the aisle and danced with her at her wedding. “Every time I saw him after that, he would recall how happy he was that day, until the day he could no longer communicate,” she said. Donna Gookin visited her former husband in his nursing home in recent months, encouraging him to exercise his legs. He stayed in a wheelchair. Despite his dementia, he sometimes had moments of lucidity, Donna said. Gookin is survived by his brother, Edwin Gookin, and his children, Jo Childs and Debra Gookin of San Diego, Mark Gookin of Reno, Nevada, and Karin Didisse of McCall, Idaho. The family is planning a Celebration of Life. For details, write RememberingBillGookin@gmail.com. Updated at 10:40 a.m. Feb. 20, 2019. *Correction: An earlier version of this story had the wrong year.